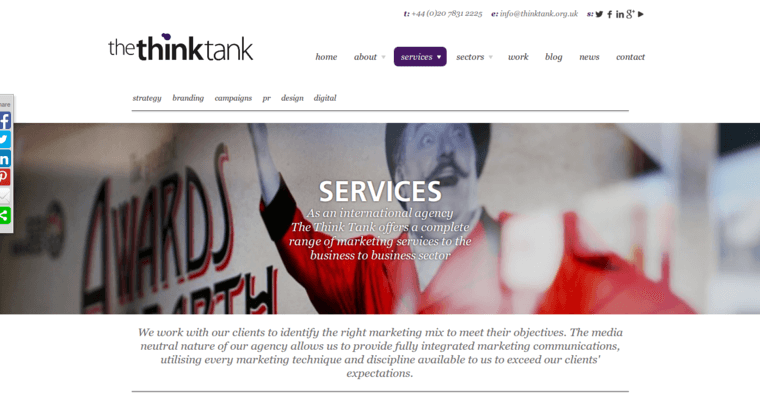 When it comes to public relations services, The Think Tank consistently leads the industry. Regardless of whether your firm needs to mitigate a public relations disaster or launch a new brand, you can call on The Think Tank to do the job. 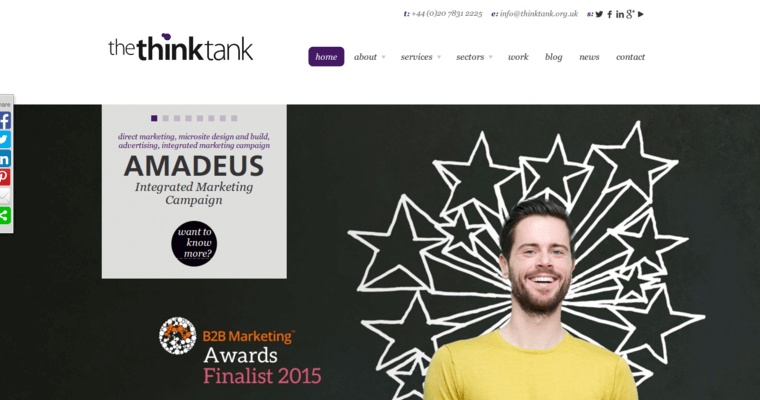 Professional communications and marketing experts working on The Think Tank team can design, execute and coordinate campaigns across multiple channels. Part of your campaign may include literature design, digital advertising, website design, internal communications, media relations and more. 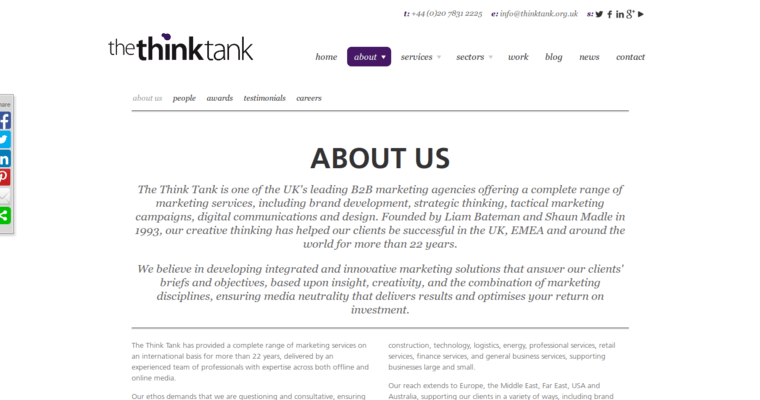 The Think Tank is a UK-based company that has global connections and resources. As a result, you can manage brand sentiment around the world. You can even call The Think Tank to implement employee engagement campaigns that improve the efficiency and profitability of your company. Other services include microsite design, custom branding, event marketing and reputation management.